Elasticsearch version 2.3 is available in all Amazon Elasticsearch Service regions, including US East (Northern Virginia), US West (Northern California), US West (Oregon), Europe (Ireland), Europe (Frankfurt), Asia Pacific (Singapore), Asia Pacific (Sydney), Asia Pacific (Tokyo), Asia Pacific (Seoul), Asia Pacific (Mumbai) and South America (São Paulo). 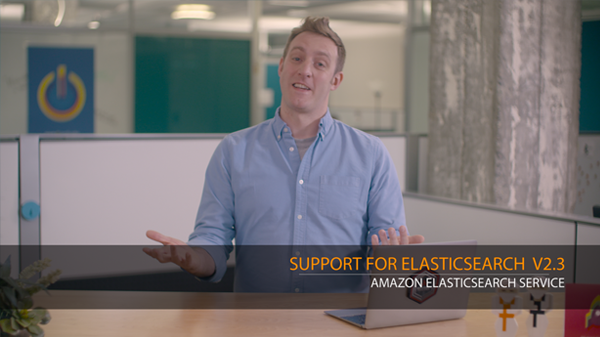 For customers in the AWS Free Usage Tier, Amazon Elasticsearch Service provides free usage of up to 750 hours per month of a single-AZ t2.micro.elasticsearch instance and 10GB per month of optional EBS storage. Visit the AWS Management Console to get your first Amazon Elasticsearch domain up and running today.